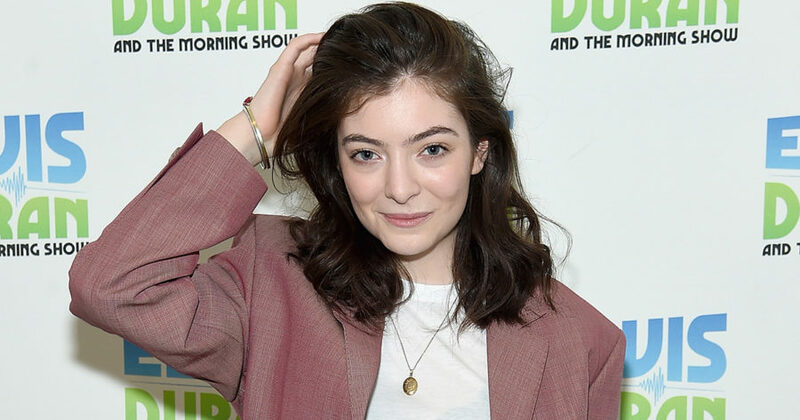 We’ve all had that urge to totally reinvent ourselves, which is why we understand why Lorde decided to switch up her signature look. After *years* of waiting, Lorde finally returned earlier this year with new music. The singer debuted her dance-pop track “Green Light,” and it’s had us bopping ever since. Not only that, but the singer performed on Saturday Night Live where she also performed her ballad “Liability.” Lorde is set to release her sophomore album Melodrama on June 16th, and from what she’s said about it, it sounds like it’s going to be pretty incredible. Lorde released her debut album Pure Heroine all the way back in 2013 when she was just 16, so it’s easy to imagine that she’s changed in the last four years. Specifically, Lorde has opened up about why she decided to change her look for this new era of music. We can all remember the dark makeup and clothes from “Royals,” but it seems that for “Green Light” the singer has made some changes. In an interview with VEVO, Lorde explained how she knew that she would alter her look for her comeback. In fact, in an interview with Zane Lowe for Beats 1, the singer discussed how the track was inspired by a breakup. However, in an interview with the The New York Times, Lorde said that Melodrama will be about way more than just heartache. Indeed, the album’s concept surrounds one house party, and the experiences that a person who is newly single has over the course of one night. “With a party, there’s that moment where a great song comes on and you’re ecstatic, and then there’s that moment later on where you’re alone in the bathroom, looking in the mirror, you don’t think you look good, and you start feeling horrible,” she said. We can’t wait to see how this concept is actualized. Lorde is definitely an artist with a lot to say, and that’s part of why we love her so much.